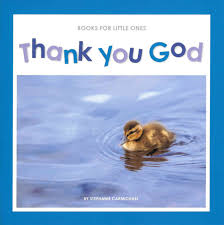 In this book children will learn to say "thank you" to God for all the things He gives us. Thank you for people who love me and for friends to play with. Thank you for water and food. Thank you for Jesus and the Bible. Thank you that I can talk to you and say "thank you."